© 2002, © 2017 by Paul Freeman. Revised 3/18/17. 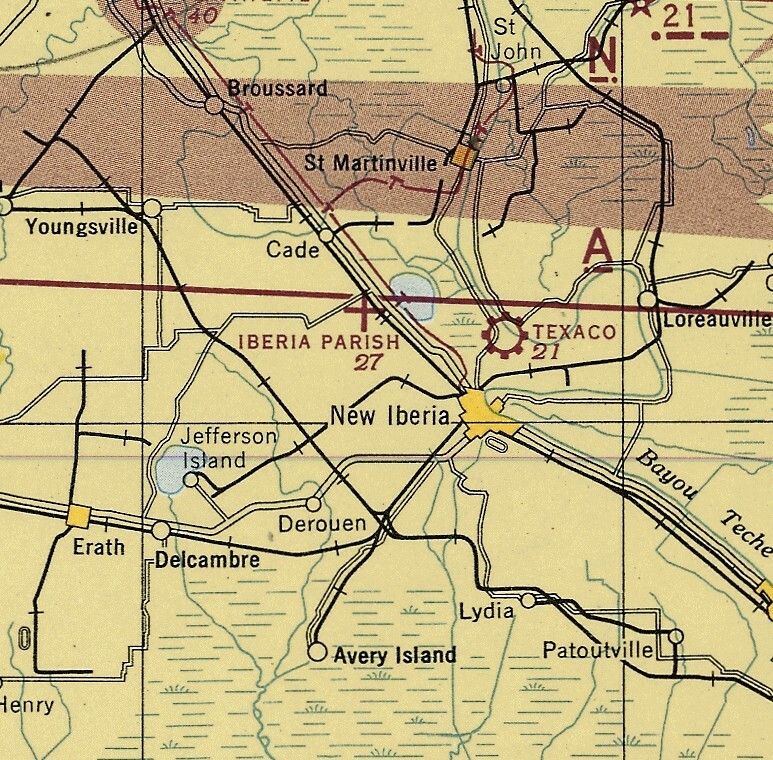 Iberia Parish Airport was depicted as an auxiliary airport on the 1944 New Orleans Sectional Chart. 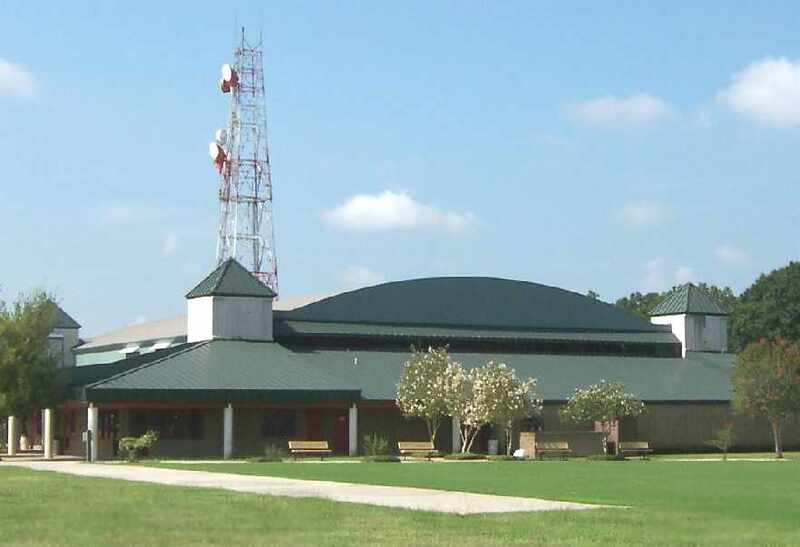 According to the FAA, Iberia Parish Airport was activated in February 1944. 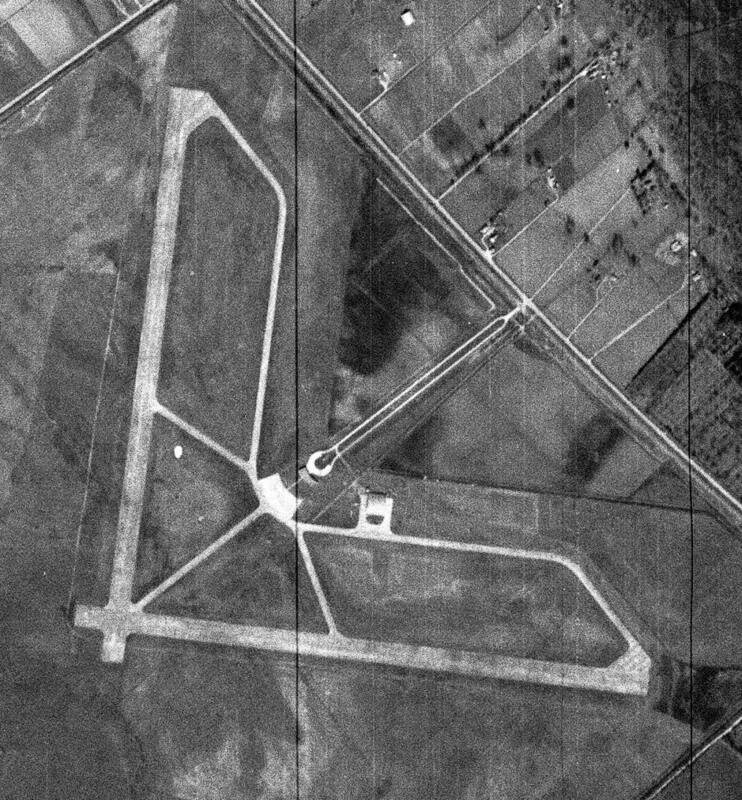 The earliest photo which has been located of Iberia Parish Airport was a 1/29/52 USGS aerial view. It depicted Iberia Parish Airport as having 2 perpendicular paved runways, with a hangar & terminal building northeast of the runway interesection. A 1955 aerial view of Iberia Parish Airport (photographed in 2017 by Thomas Marcotte in the Acadiana Regional Airport). It depicted Iberia Parish Airport in the same fashion as the 1952 photo. which depicted Iberia Parish as having a 4,000' paved runway. 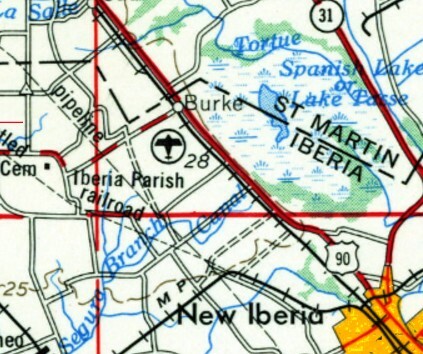 Iberia Parish Airport, as depicted on the 1956 USGS topo map. at which point the civilian airport presumably closed. 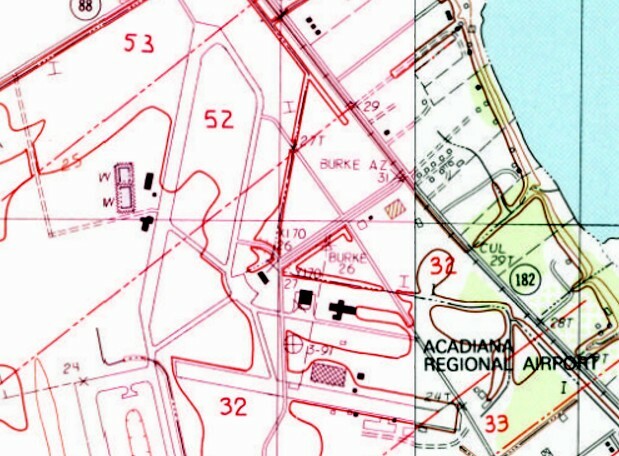 An 8,000' concrete runway was built for the NAAS, and the shorter runways of the civilian predecessor airport were evidently never reused as runways. 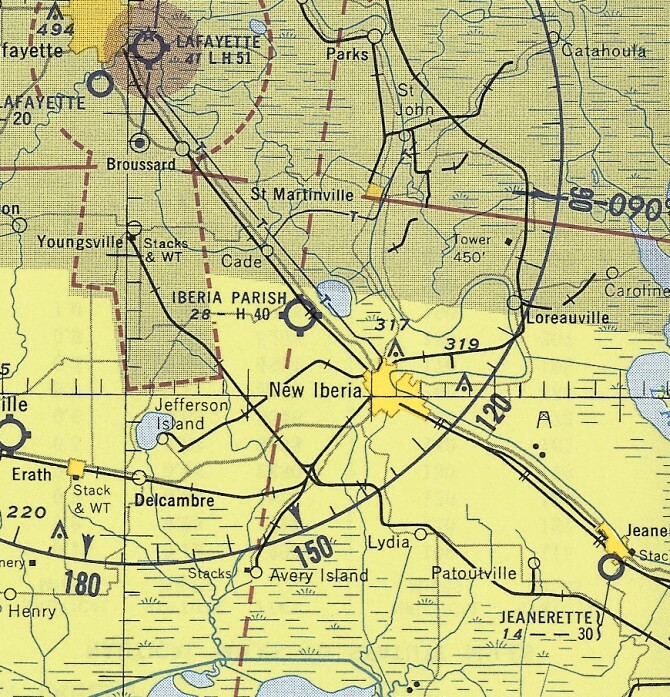 The abandoned runways of the former Iberia Parish Airport were still depicted on the 1983 USGS topo map. a Cessna on the southeast/northwest runway, and another Cessna on the former ramp. The site of Iberia Parish Airport is located at the western terminus of Airport Boulevard, appropriately enough. from the June 17, 1931 issue of the Baton Rouge State Times (courtesy of Carl Hennigan). 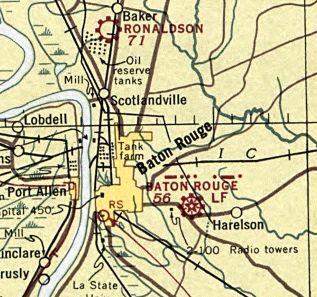 The original airport for the town of Baton Rouge was located on the eastern side of the city. described the dedication ceremonies of the newly constructed $150,000 Baton Rouge Airport. featuring over 100 military & civilian planes. with one of the most elaborate lighting systems of any airport in the country. 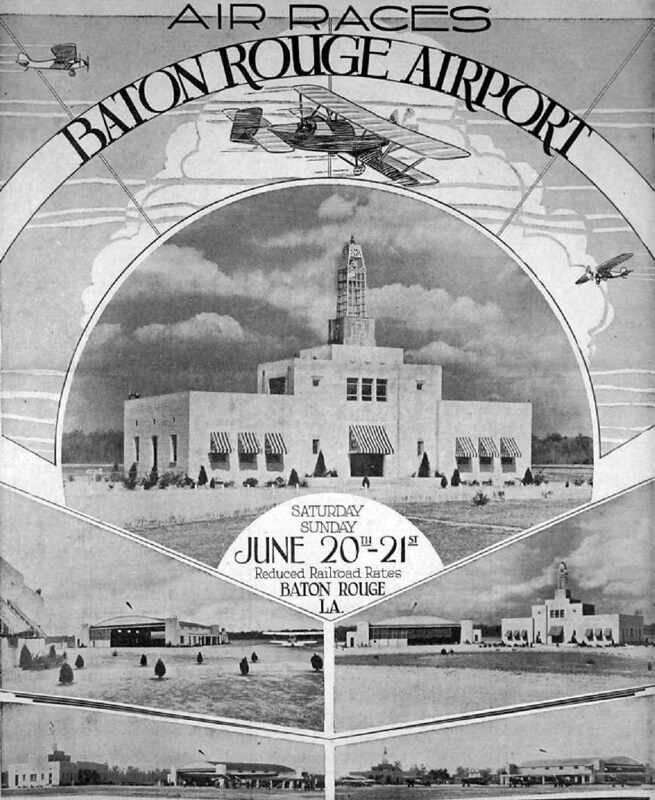 It described the original Baton Rouge Municipal Airport as consisting of a 56 acre square turf field. 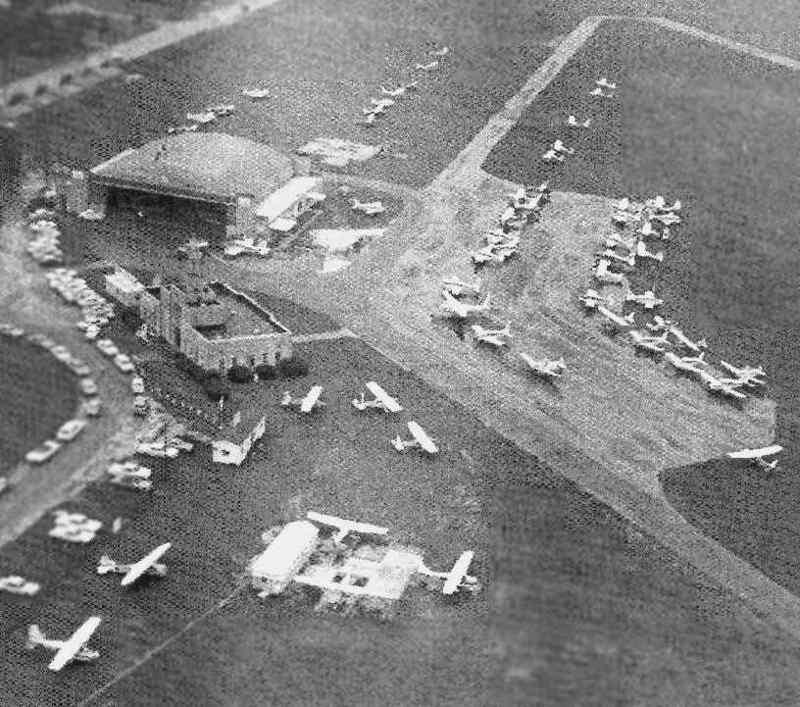 The aerial photo in the directory depicted a single hangar & a two-story terminal building along the western side of the field. and E. W. Kleinpeter (instruction, service, Monocoupe sales). 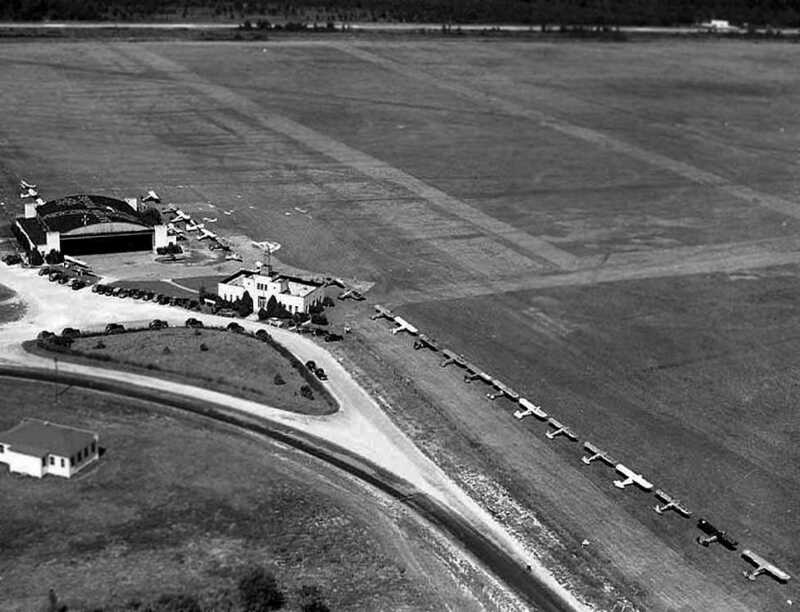 A circa 1930s photo of the terminal, hangar, and a Fokker Trimotor at Baton Rouge Municipal Airport. was on the December 1935 Beaumont Sectional Chart. 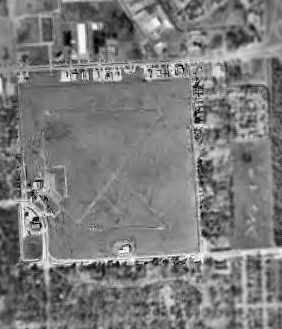 The directory described the original Baton Rouge Municipal Airport as consisting of a rectangular sod field, measuring 3,000' x 2,900'. 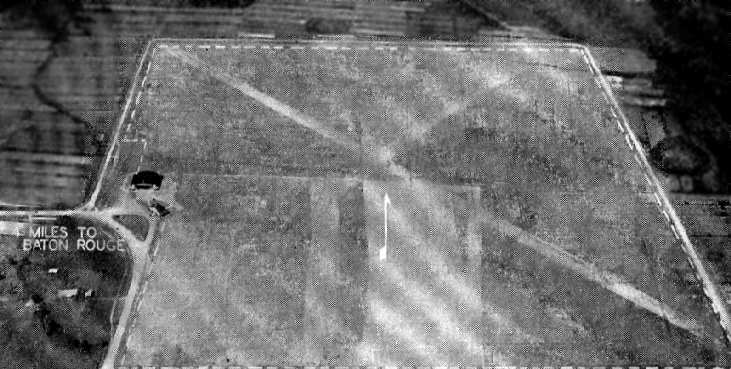 The aerial photo in the directory depicted a single hangar along the western side of the field. 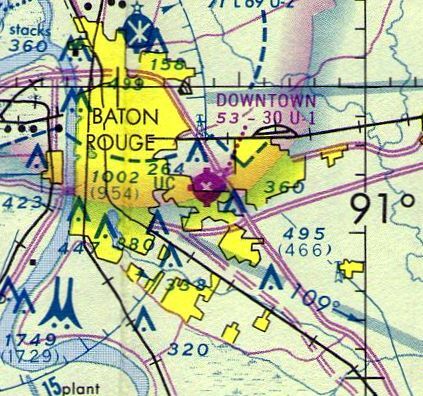 The 1939 USGS topo map depicted Baton Rouge Municipal Airport as a square-shaped field with a beacon in the center. and even the East Baton Rouge Airport, thus the identifier EBR. Eastern Airlines flew commercial flights into the field but decided the field was too small for their new DC-3s. with a single hangar & the terminal building along the west side. Most of the adjacent land was rural & undeveloped. 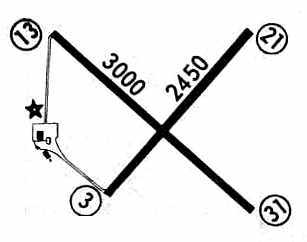 on the 1945 New Orleans Sectional Chart (courtesy of John Voss). 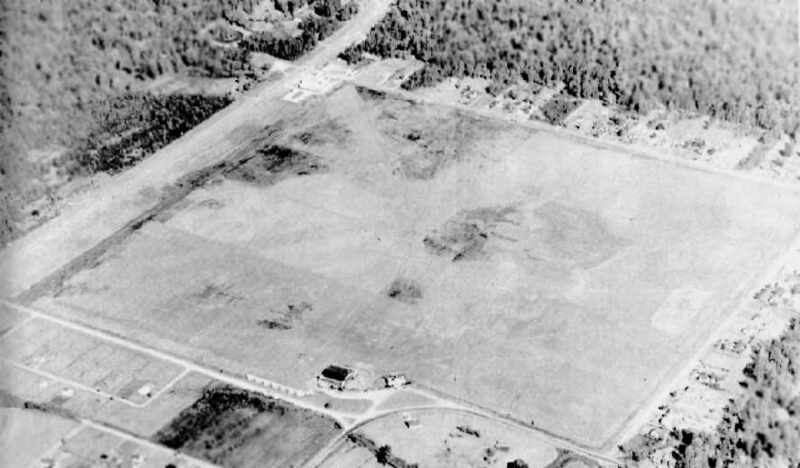 A 1951 aerial view looking northeast at the original Baton Rouge Municipal Airport (courtesy of Carl Hennisgan). 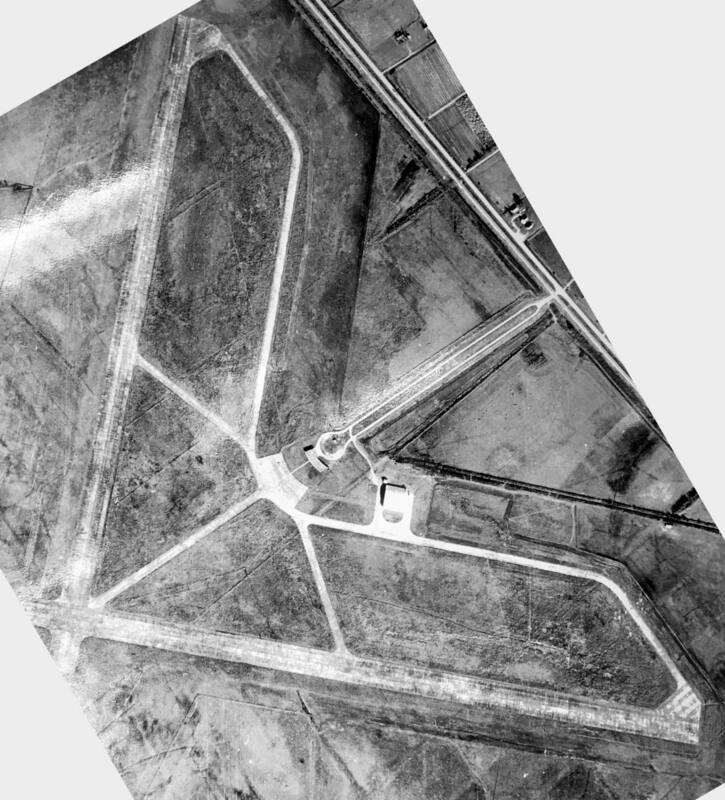 which otherwise appeared unchanged from its appearance in the January 1941 aerial photo. 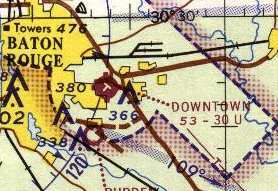 and the original airport had been renamed "Downtown" Airport. 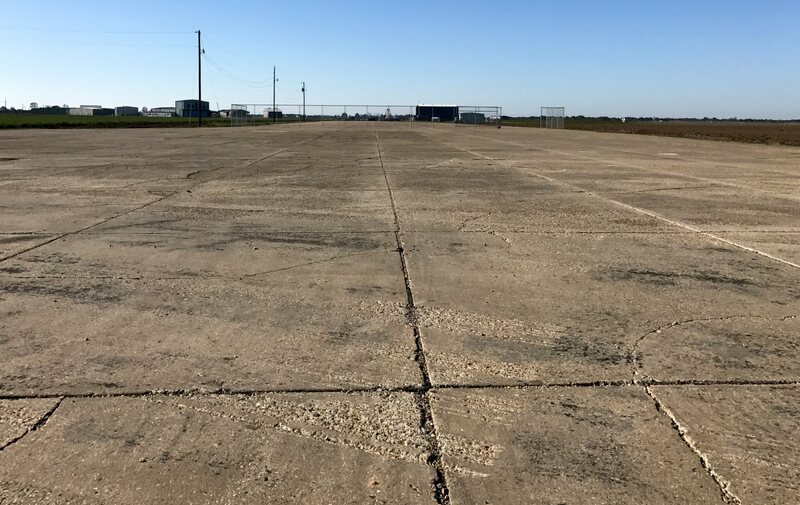 It had also gained a paved runway, as the airfield was described as having a single 2,000' asphalt Runway 13/31. The field was said to offer hangars, repairs, and charter. The operator was listed as Louisiana Aircraft, Inc., a Piper & Brantly dealer. 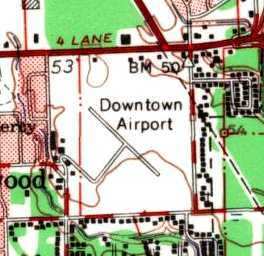 The 1963 USGS topo map depicted the Downtown Airport as having 2 paved runways & several buildings on the west side. 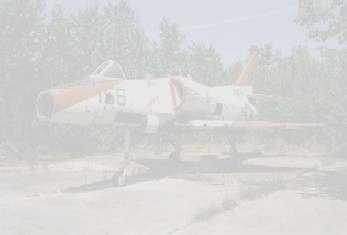 which was located at the south side of the Louisiana Aircraft Company housed in a portable building. A 1965 photo of damage at Baton Rouge Downtown Airport by Walter Hennigan (courtesy of Carl Hennigan). described Downtown Airport as having 2 paved runways, with the longest being a 3,000' asphalt strip. showing dozens of light aircraft on the field. and depicted a ramp on the west side of the field with three buildings. in order to keep it from being destroyed. which in this case was the City-Parish. The then-mayor wanted to put a street extension right through where the terminal building was. We went to the City Parish & made our presentation (to save the terminal building) but got absolutely nowhere. It was a really cool art deco-ish brick facility, with wrought iron filligree on top, holding the rotating beacon. 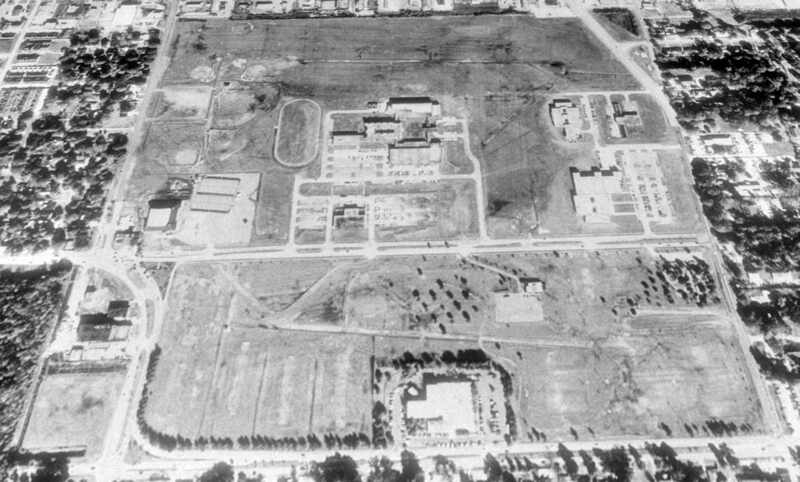 which was not shown in the March 1959 aerial photo. The surrounding land had also become completely developed. Lucien Cutrera recalled, “Moving to Baton Rouge in 1973, I remember the facility & flew from the airport on a local hop with a fellow student one clear, cool Saturday morning. I’ll never forget his closing my door with a wire string & asking me to keep my feet on the brakes as he flipped the prop to start the plane. The control tower was at the corner of Government Street & Lobdell. I spent my summers down there & I used to go to the old airfield often." sunup to sundown every weekend from April 1973 until it closed. While I was there it was an uncontrolled field owned by East Baton Rouge City-Parish. The 1967 photo is pretty much as I remember it, but maybe twice as many aircraft. I & about 5 of my friends started working line service in high school, and continued until we finished college. My starting pay was $1.65 / hour. And the pilots - I don't think you could have collected a more colorful bunch of characters! and you know I was never turned down! Larry Lakin continued, “Indeed it was urban growth that caused the closure of the airport. 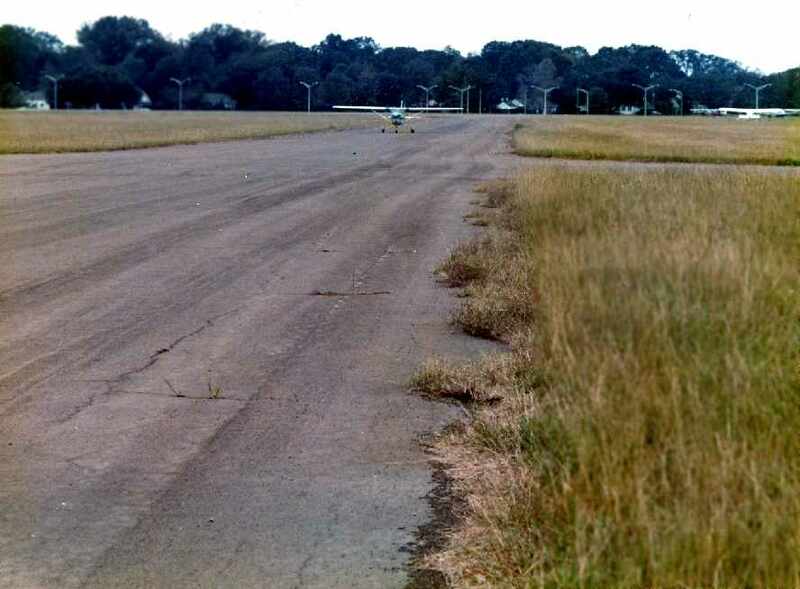 A 1974 photo of Carl Hennigan taking off from Baton Rouge Downtown Airport's Runway 3 in a Cessna 150.
was a 1/20/75 USGS aerial view, showing a large number of light aircraft parked on the west side of the field. was the March 1975 Houston Sectional Chart (courtesy of Jim Hackman). It depicted Downtown Airport as having 2 paved runways, with the longest being 3,000'. Larry Lakin recalled, “The accident in the fall of 1975 caused the Mayor to call for closure of the Downtown Airport. moved to Ryan Field (used to be Harding Field) on the north side of town in May 1976. In June 1976 the terminal building was demolished. and was dedicated by Mayor W.W. Dumas. it was promised that a new general aviation airport would be built to replace Downtown. was the general funk of the General Aviation industry, which endured a major depression that started about this same time. was because commercial interests were complaining (and wanted the land). that area was completely developed 20 years before the airport was finally closed. These were generally middle class ranch style homes, not mcMansions by any stretch of the imagination. on the December 1976 New Orleans Terminal Area Chart (courtesy of Chris Kennedy). that businessmen were holding to try to keep the place open. but the Parks & Recreation people have it now." 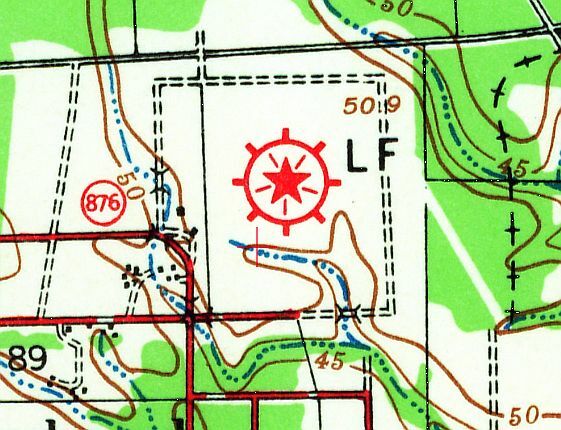 The former airport was no longer depicted on the 1984 USGS topo map. as it had become a complex of athletic fields. in the midst of the athletic fields & newer buildings. At least one former hangar also remained standing, on the western side of the field. which was used by radio-controlled model aircraft pilots. but the runways and aprons were covered over with athletic fields. It was a shame that place was closed down." because of the number of facilities available." Ironically, one of the facilities at the park is "a model airplane field." at the southwest corner of the former Baton Rouge Downtown Airport. Tom Marcotte reported in 2005, “I had opportunity to walk the grounds of the old Baton Rouge Downtown Airport today. I walked the approach end of Runway 13 & found no evidence of asphalt. They have done a good job of picking this up, and it's now covered with nice grass & oak trees. There are a couple of windsocks on the field. One seems to be vintage & the other new at the site of a state operated heliport on the northeast side. “is now their headquarters, training facility and computer operations center. The hangar is now the park office & indoor tennis courts. and the commercial property in the area went into decline from which it has not ever recovered. prime residential & commercial sites have now leapfrogged out into the surrounding parishes. or was acquired through some sort of tax default, it has been an albatross around the city's neck every since. They spent many more millions on that property than they ever invested in aviation. to create a football TV network in part of that building, and after the state seed money was exhausted, they left town. 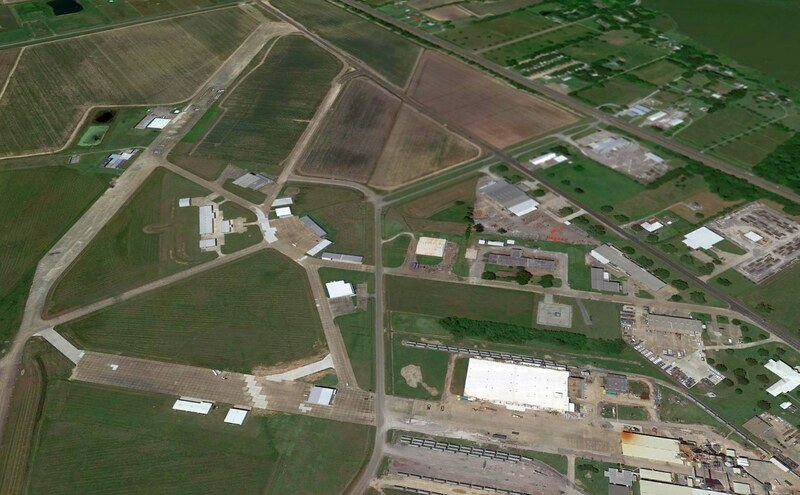 which relocated its training academy to the old airport site. Some recreational opportunities were also created with sports facilities such as tennis courts. However, it is not known as a particularly safe place to live or play except during daylight at this point. 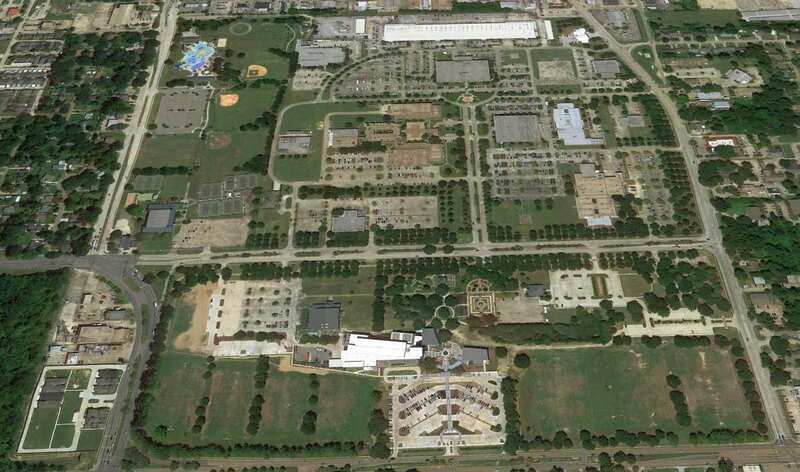 showed quite a bit has changed since the 1989 aerial photo. 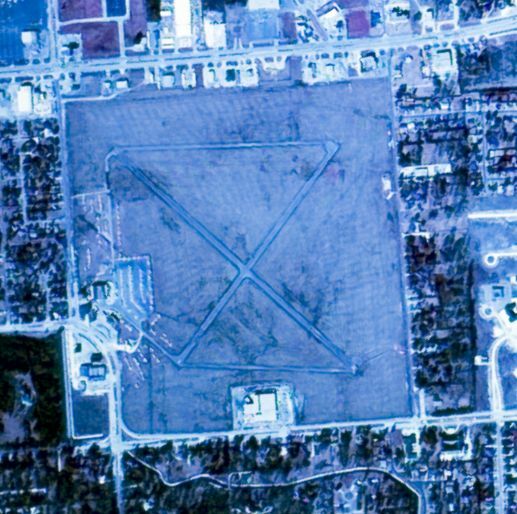 with buildings & parking lots covering the traces of the former runways which were still visible in the 1989 photo. However, the hangar remains on the west side of the field. The site of Downtown Airport is located northeast of the intersection of Lobdell Avenue & Government Street.